The U.S. Army Forces Command anticipates new opportunities this year to improve unit readiness; master warfighting fundamentals; strengthen leader development; and care for soldiers, Army civilians and families. As our units operate in today’s complex global security environment and compelling realities, our vision remains unchanged: Develop combat-ready and globally responsive units that are well-led, disciplined, trained and expeditionary that will win in a complex world. Readiness is, and will continue to be, our No. 1 priority. 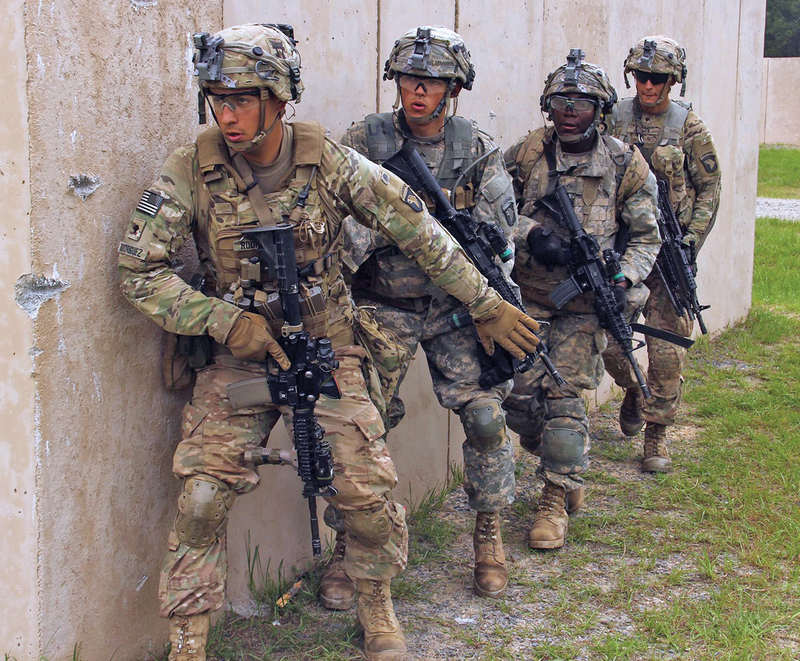 The 216,000 Regular Army soldiers of Forces Command (FORSCOM) are teamed with the nation’s 325,000 Army National Guard and 195,000 Army Reserve soldiers to remain the most powerful land force in the world. FORSCOM, as the Army’s force provider, prepares units from all three components to accomplish a wide range of missions. We are building on the accomplishments of 2016 to win against the most lethal threats in the toughest conditions we might face. Our training focus is clear: We prepare for combined arms maneuver over extended distances involving complicated sustainment and Mission Command within complex operational environments against larger, near-peer, hybrid threats. From integration of fires—organic artillery and joint precision fires—to making live-fire exercises routine and conducting Mission Command on the move, FORSCOM training is reaching levels not experienced in the past decade. In 2016, we had a 32 percent increase in training ammunition expenditures and returned to pre-2001, full execution of our mandatory live-fire gate training strategy. The number of battalion level live-fire exercises, an important benchmark for combat arms units, is increasing each quarter. Our gated training strategy is a model that logically outlines training from individual soldier and crew level through collective training at the squad, platoon, company and battalion qualifications to ensure standards are met prior to progressing to the next level. 101st Airborne Division troops at the Joint Readiness Training Center, Fort Polk, La. Military police from the Mississippi Army National Guard during a multicomponent exercise at Fort Hood, Texas. Similarly, we are routinely integrating special operations forces (SOF) into our training. Doing so benefits all units, conventional and SOF, and offers increased opportunities for leader development. Importantly, we are institutionalizing how we include partner-nation forces, U.S. governmental agencies and other services’ warfighting capabilities as part of training events at brigade level and above, with the intent of sustaining our proficiency in wide area security tasks. We are expanding and adding rigor to the Army’s war-fighter exercise program, which is the combined post exercise designed to train corps and division commanders and staff. These enhancements include incorporating cyber electromagnetic activities, SOF, Air Force combat air support, Mission Command on the move, and functional/multifunctional brigade participation. In the future, new terrain and shorter planning horizons will provide a training crucible for corps and division commanders and staff. To completely fulfill the nation’s need for land forces to conduct missions around the world requires all three components: the total force. Units of the Army National Guard and Army Reserve are mobilized, integrated with Regular Army units and deployed. Preparation begins well before deployment and involves support from all parts of the Army. To ensure full integration of these forces, commanders capitalize on a number of initiatives and programs that impact training in positive ways. First, we have established two important arrangements between the Regular Army and the reserve components: the Total Force Partnership Program and the Associated Units Pilot. The Total Force Partnership Program establishes partnerships promoting informal leader development, sharing training opportunities, fostering integrated training and sharing lessons learned. It is paying readiness dividends. Our vision for the program is that units achieve a level of partnership that causes delineation between components to become indistinguishable at the partner-unit level. This year, the Total Force Partnership Program leveraged component-neutral use of training resources and equipment. 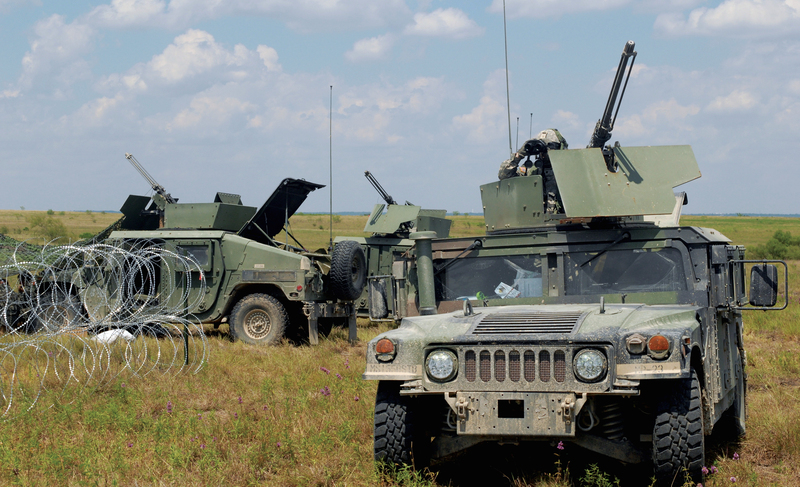 One example was this summer’s training exercise at Fort Hood, Texas, for the 155th Armored Brigade Combat Team, Mississippi Army National Guard. Instead of shipping its M1 tanks, Bradley fighting vehicles and support equipment to Texas for the training, it used those of a 1st Cavalry Division armored brigade combat team that was deployed to Korea. This approach saved $3.5 million in transportation expenses, strengthened trust and understanding between units of two components, and demonstrated the validity of our total force approach. Ten FORSCOM units are participating in the much more formal Associated Units Pilot beginning this year. 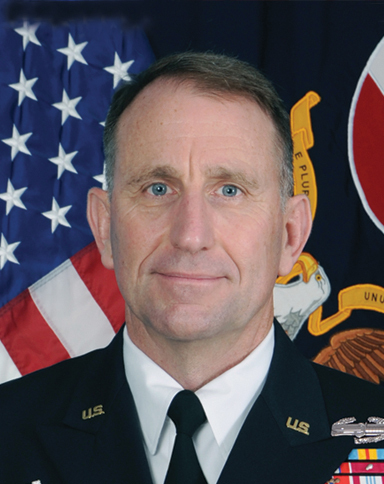 This pilot is a multiyear test of effectiveness in employing an associated unit strategy to increase readiness in Regular Army, Army National Guard and Army Reserve formations while promoting better total force integration. The key to success for the pilot is the relationship of the associated unit to the gaining unit, which will now review and approve their training program and all readiness reports. Other innovative features of the Associated Units Pilot include increasing the number of annual training days and combat training center rotations for these select Army National Guard units and personnel exchanges. We are identifying other opportunities to maximize leader development and integrate training among the components. The Total Army trains, deploys and fights together as one team. For example, this year a Regular Army armored brigade combat team, Army National Guard infantry brigade combat team and a Regular Army combat aviation brigade are missioned for the NATO Response Force. These total force capabilities have reinforced the U.S. European Command’s assigned forces to expand partner-nation capacity, reassure allies and deter aggression. In yet another example of total force employment, elements of a Regular Army and Army National Guard infantry brigade combat team continue to accomplish the Kosovo Force mission in the Balkans. We continue to seek other opportunities to leverage the total force integration in support of combatant commands. To meet the requirements of training for the conduct of operations in the future, we are implementing a number of important enhancements. We have developed a balanced training strategy with strong linkage among home station; the combat training centers at Fort Irwin, Calif., and Fort Polk, La. ; and joint exercises within the U.S. and in other countries. This strategy provides our units the opportunity to hone the warfighting skills necessary to fight and win in combat. Staff Sgt. 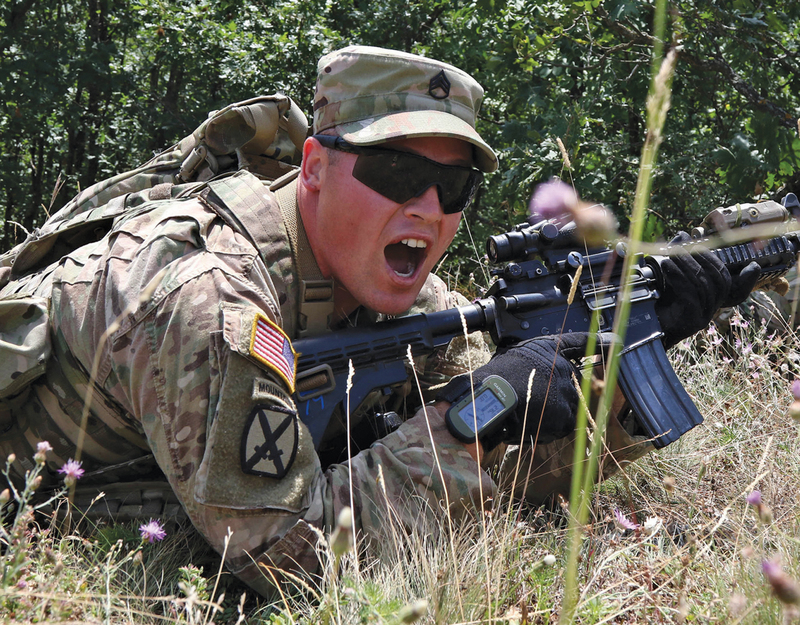 Daniel Dalton of the 4th Infantry Division trains in Kosovo. 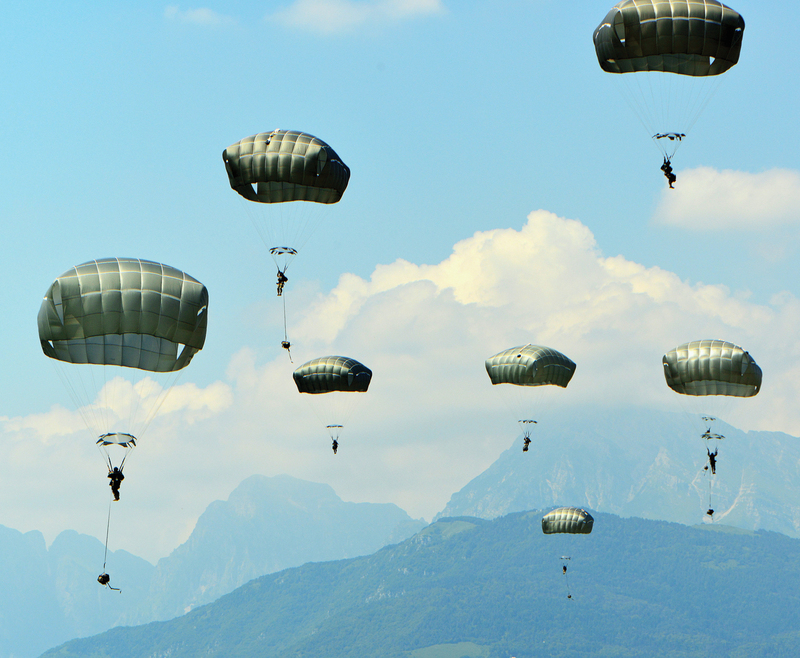 Members of the 173rd Airborne Brigade in Italy. An example is the first Sealift Emergency Deployment Readiness Exercise in 15 years. This featured a brigade combat team from the 101st Airborne Division (Air Assault) completing its home station training and then deploying for its combat training center rotation. The brigade combat team deployed its equipment from the U.S. East Coast; conducted reception, staging and onward movement of the brigade from a Texas port into the Joint Readiness Training Center at Fort Polk; and seamlessly engaged the world-class opposing force in a successful training experience. The realities brought about by the reduction in number of Army soldiers and accompanying force structure, coupled with the necessity of making every training dollar count, require a mindset change within our units. It is no longer acceptable for a unit that is deployed for missions other than combat to return in a degraded readiness posture. Preservation of readiness while deployed allows units to achieve required readiness quickly for follow-on missions or contingencies. At our installations, we are investing in training enablers that create the most realistic and relevant training possible despite reduced budgets. By incorporating the latest virtual, constructive and gaming technologies and coupling them with live training, our units are achieving the required level of readiness to accomplish missions across the full range of military operations. Units are regaining their operational expertise in combined arms maneuver, the most important tenet in our doctrine and the most complicated to master. Even as we continue to develop ready and responsive forces today to meet the nation’s requirements, FORSCOM is forging a strong partnership with the U.S. Army Training and Doctrine Command to support planning for the Army of 2025 and preparing for the readiness demands of tomorrow. This partnership includes codifying mechanisms and processes to ensure the voices of the operational commanders in the field are heard in matters such as developing operational concepts, establishing operational requirements for materiel acquisition, and writing doctrine. FORSCOM’s soldiers and Army civilians are implementing policies that support and enable sustainable readiness, and applying and promulgating the lessons learned over the last 18 months. Sustainable readiness is resulting in increased efficiency while simultaneously supporting our training focus and strategy. It is not about being ready for a specific time; it is about being ready all the time. Every part of the Army—institutional, industrial and operational, including the Army service component commands—has a major role in ensuring the success of sustainable readiness and maximizing readiness in units. In 2017, we will build on our effort to advance the readiness of the total force. This includes training integration through the partnership program, effective premobilization training, and efficient post-mobilization training of reserve component units. We have work to do in partnering all our functional and multifunctional brigades while continuing to promote success within the combat and enabling formations. We will intensely manage the Associated Units Pilot to produce the data and lessons learned that are needed to make a decision in 2018 or 2019 on how to adapt, codify and possibly expand the program. We will increase the total number of combat training center rotations; implement the Objective T training standard; sustain the focus on fundamentals; and leverage exercises to sustain readiness. The outstanding men and women who defend our nation, and the families supporting them, remain America’s most valuable asset. They are resilient and dedicated to accomplishing whatever mission they are given. While many challenges remain, our effort ensures that FORSCOM will continue to provide the world’s best led, trained and ready soldiers, supported by caring families, to accomplish the mission as a total force in support of the nation.